Mohini Athia is Director of Communications at COPA (infocopa.com), offering schools in Ontario a range of unique programs and resources focusing on buying prevention, human rights and equity and inclusion. Mohini is also a secondary school teacher (currently on a leave of absence), specializing in business studies and special education. 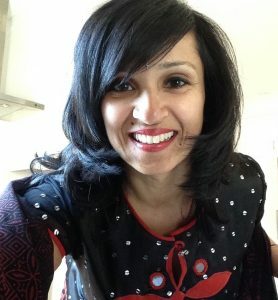 Mohini’s long-standing commitment to social justice and the infusion of this perspective into the realms of her teaching life drew her to COPA’s unique and remarkable rights-base approach to fostering ‘safer, strong and free’ schools and communities. Her personal interests include travelling, running and volunteering at Toronto’s Native Canadian Centre.